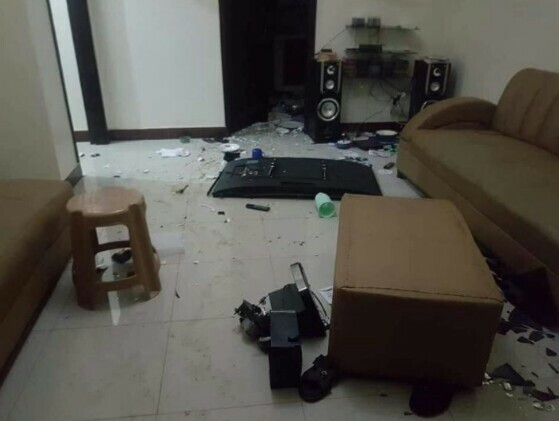 According to online reports, an aggrieved Nigerian lady destroyed her lover's house and his properties following a disagreement between them. It was stated that she went on rampage at her lover's house and destroyed his properties including chairs, plates, television set, as can be seen in the pics. Further details as to what later happened to the lady was not given by Akin, who shared the report.